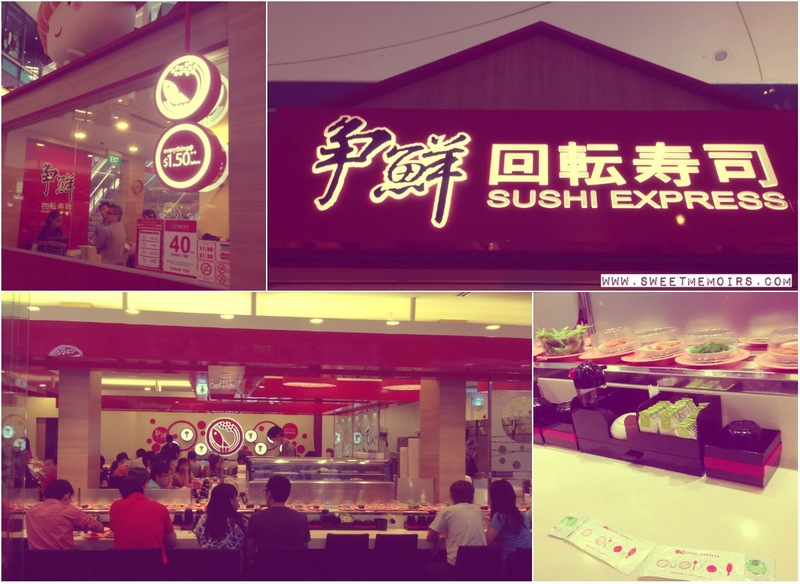 My girl has been eyeing this new sushi place at Tampines 1 for the longest time but every time we attempt to check it out, the queue is always too long. For the record, I have not queued for way too long just to eat. I always say no thanks when there's a long line of sushi monsters. Yesterday, my big rabbit and I went out to check out the church bazaar during the little rabbit's afternoon nap time. After buying two pairs of jeans for $4 each, we walked all the way to the mall because I wanted to treat the big rabbit for an icecream. She got her strawberry sundae fix at McD while I got my earl grey milk tea fix at Gong Cha. We went shoe window shopping at Payless and lingered for a while then I told my date it's time to go home because my operation site (went for a minor op on Chinese New Year eve) stings a little. Before heading to the train station, the big rabbit dragged me to the mall's basement to see if there's no queue at Sushi Express. I guess, heavens brought us to check it out because there was no queue at all. Even though big rabbit already had her sundae fix and I got my pearl tea fix, we decided to try it out and have a sushi fix. 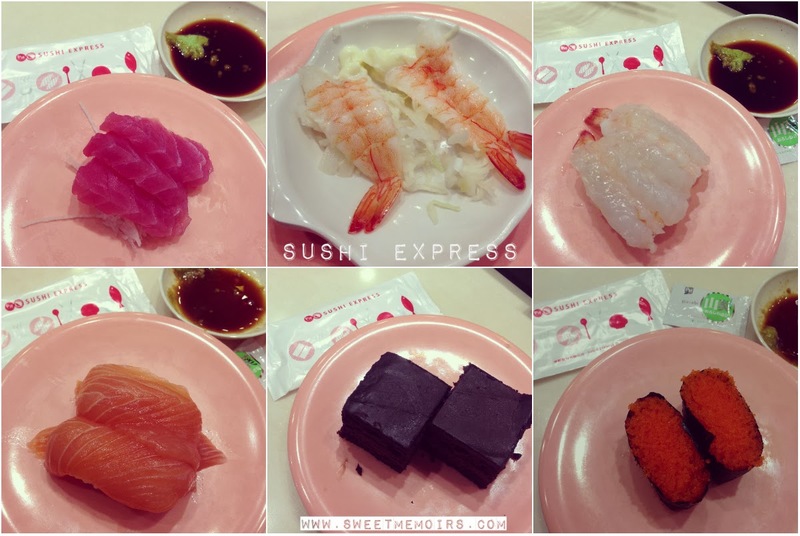 This is what we devoured: salmon sashimi, prawn sashimi, prawn sushi, salmon sushi, fish roe sushi and chocolate cake. Each plate cost $1.50, we wanted to eat more but we were too full already.